"We were 'All one in Jesus Christ' ...nurses whose lives are spent in the service of mankind, and who are seeking, in Conference, more effective ways of serving ...We should be at the heart of our professional organisations and conferences to show, as St Paul exhorted, 'a more excellent way'...Let us accept it as a God given responsibility, remembering that in every situation we are ambassadors for Christ." Johan Allan, first President of NCFI Nurses, who often support others during difficult life changes, need a source of strength and stability if they are to continue to find the great joys and cope with the challenges in nursing. Many find this source in an unchangeable God, and are united in this with nurses around the world through the work of Nurses Christian Fellowship International (NCFI). NCFI links together the Nurses Christian Fellowships of member countries across the world, and has contact with nurses in more than a hundred non-member countries - sharing ideas and encouragement, promoting Christian values and providing spiritual and professional support. It helps many nurses to continue to find and follow 'a more excellent way'. 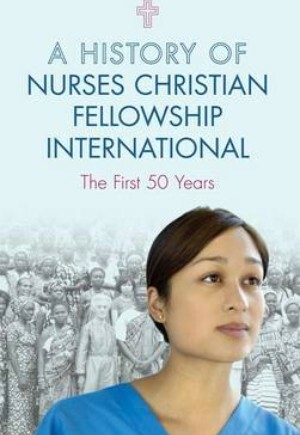 This book includes brief histories of how and when some countries' Fellowships developed, but primarily it gives an overview of the birth of NCFI - as the national nurses Christian fellowships around the world began to unite - and its development over fifty years from 1958 - 2008.